Cucumber | What's Green with Betsy?!? CUCUMBER AND VODKA – NOT A COCKTAIL BUT A GREEN ALTERNATIVE! Many foods and spirits can be used as green alternatives to conventional household and personal care products. Below are some ideas sent to me from a couple of readers. Cucumber is a nutritious vegetable with many more medicinal uses than listed here. Cucumbers are loaded with vitamins and minerals and make an energy-boosting snack. Rubbing a cucumber slice on a fogged up mirror will eliminate the fog and provide aromatherapy at the same time. Cucumber slices in an aluminum pie tin will repel grubs and slugs from your garden. The chemicals in the cucumber react with the aluminum to give off an undetectable scent to humans but not to garden pests. Cucumber is especially beneficial for the skin. Rub a slice of cucumber on your cellulite and wrinkles to tighten the skin. 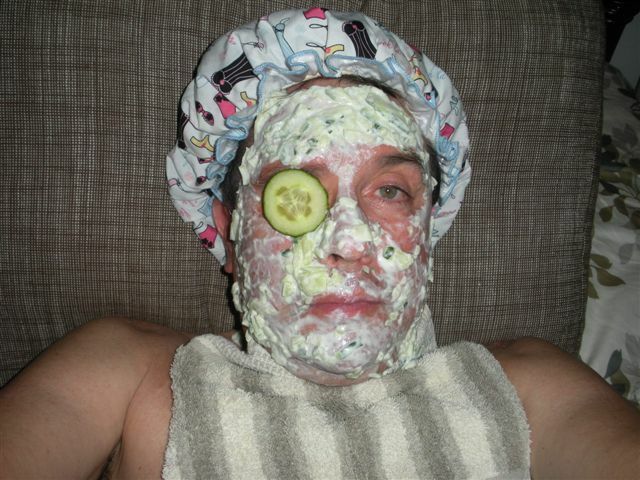 Cucumber also reduces eye puffiness. Eating a few cucumber slices after over imbibing and before going to bed helps to eliminate a hangover. The sugar, B vitamins and electrolytes in the cucumber replenish essential nutrients. Shine your shoes with cucumber – the chemicals provide a quick shine that also repels water. A cucumber slice pressed on the roof of your mouth for 30 seconds kills bad breath germs. Clean your faucets and stainless steel with cucumber slices – it safely removes tarnish and leaves a shine. Clean windows with diluted vodka as an alternative to chemical cleansers. Shine chrome with a cloth soaked in vodka. Preserve cut flowers by mixing a few drops of vodka with a teaspoon of sugar. Remove stains like ink, grass and some foods from upholstery. Dip a clean cloth in vodka and rub it on the fabric. Kill broadleaf weeds – Mix 1 ounce of vodka, a few drops of liquid dish soap and 2 cups of water in a spray bottle. Apply on a sunny day to cause the weeds to dry out. Clean mold and mildew – spray tiles and caulk with vodka and let stand for 20 minutes. Scrub with a brush and rinse thoroughly. Soothe sore muscles with a cold pack made from equal parts vodka and water. Put in a resealable bag and freeze. Spritz the insides of your shoes with vodka to eliminate the odor. Vodka information compiled from THISOLDHOUSE.COM (Jan/Feb.2012).